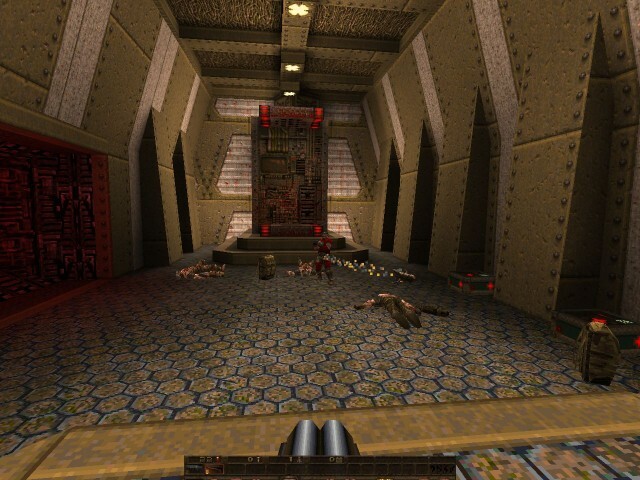 Eternal Quake is a mod for the classic game Quake by id Software. 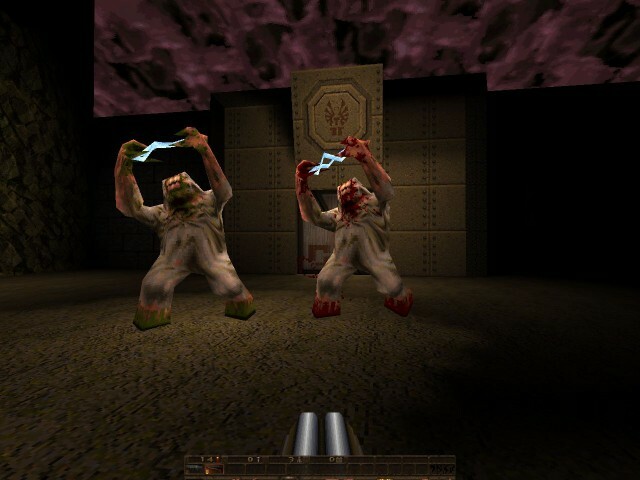 A modern source port like QuakeSpasm is recommended. 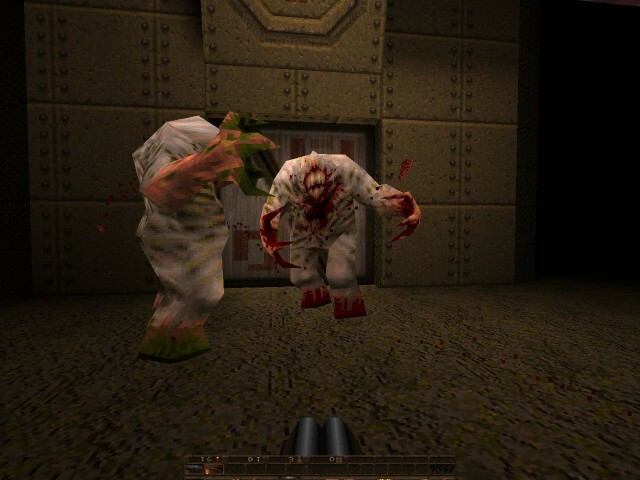 This mod includes new enemies (Rocket Grunt, Putrid Shambler) with custom textures, rebalanced weapons and enemies, new sounds and a new map called “The Eternal Machine”. 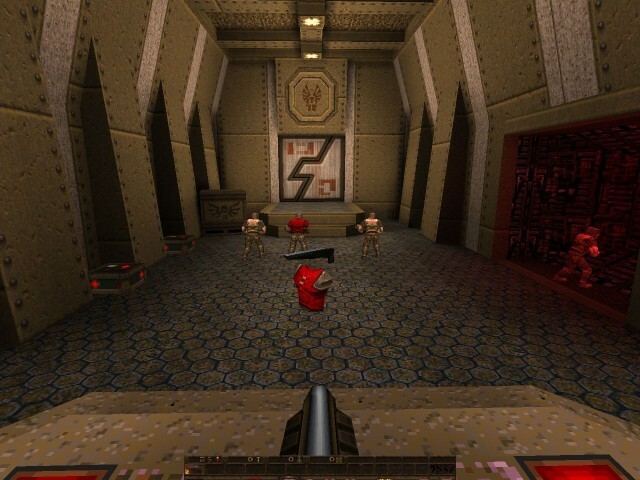 Eternal Quake mainly exists to educate myself about the inner technical workings, it’s creation and development workflows of one of my favorite games: Quake. 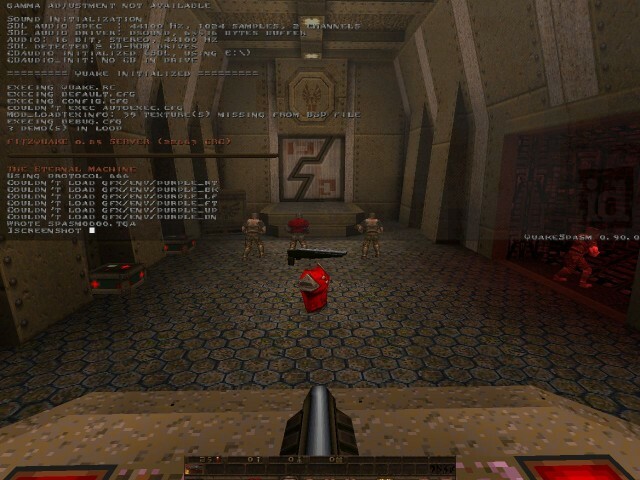 The code customizations and additions like enemy behaviors and game balancing tweaks are written in QuakeC and are compiled with GMQCC, a modern QuakeC compiler. The map was created via the modern BSP level editor TrenchBroom – This editor uses a completely visual approach to level design and is a great alternative to Valve’s Hammer editor or GTK Radiant. The raw MAP file is then compiled with the modern map compiling toolchain TyrUtils, which encompasses tools like QBSP, light and VIS. The custom enemy textures have been created with GrafX2 an indexed-color-only paint program thats inspired by old-school Amiga programs like ​Deluxe Paint and Brilliance. The textures are included as “skin variants” in PCX format inside the MDL files of the respective monsters. A lot of the code is based on the original QuakeC source files “progs106” from id, 1996. For learning purposes I’ve reverse-engineered some functions in machine code (Assembler) from the popular mod collection Quoth.